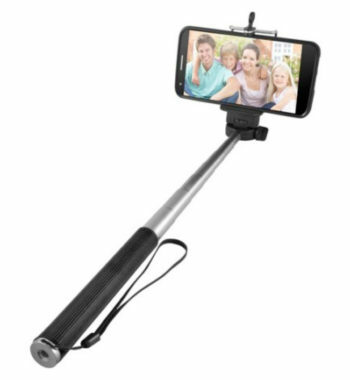 Use the Ematic Extendable Selfie Stick with Bluetooth Shutter Release to take pictures and record videos wirelessly with one click. A universal design makes it compatible with Apple iPhone 4S or newer, Samsung Galaxy models, and more. The selfie stick extends from 10″ to 42″, so enjoy the wide array of possible angles and perspectives that such a long gap in distance can give you. Whether you want to be the focal point of any given picture or video, or if you want to give emphasis on a majestic landscape behind you, the Ematic Extendable Selfie Stick with Bluetooth Shutter Release is just the tool you need. 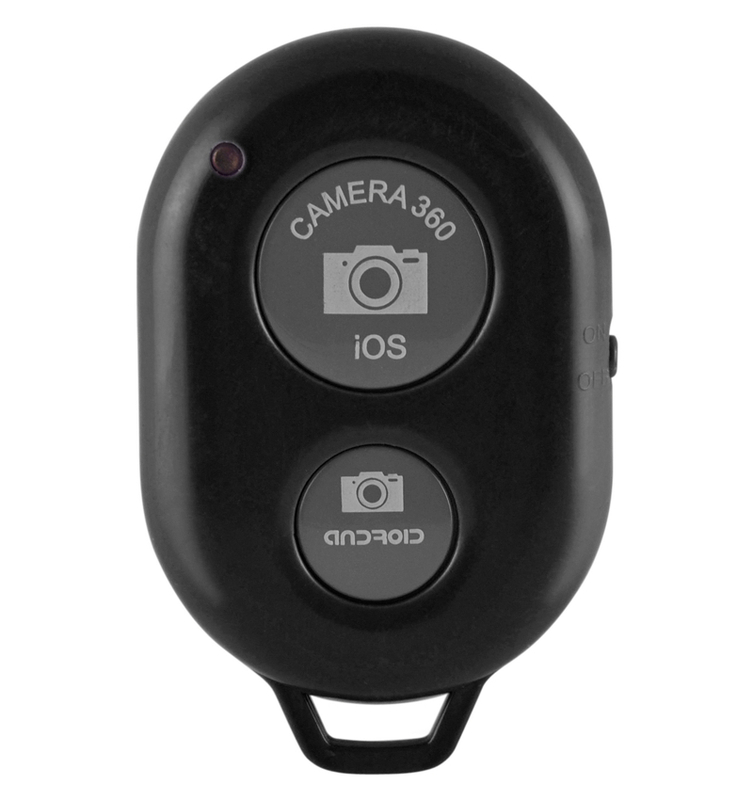 The Bluetooth shutter release button has a 30-foot wireless range, allowing for long distance group photos and more in just one convenient click. 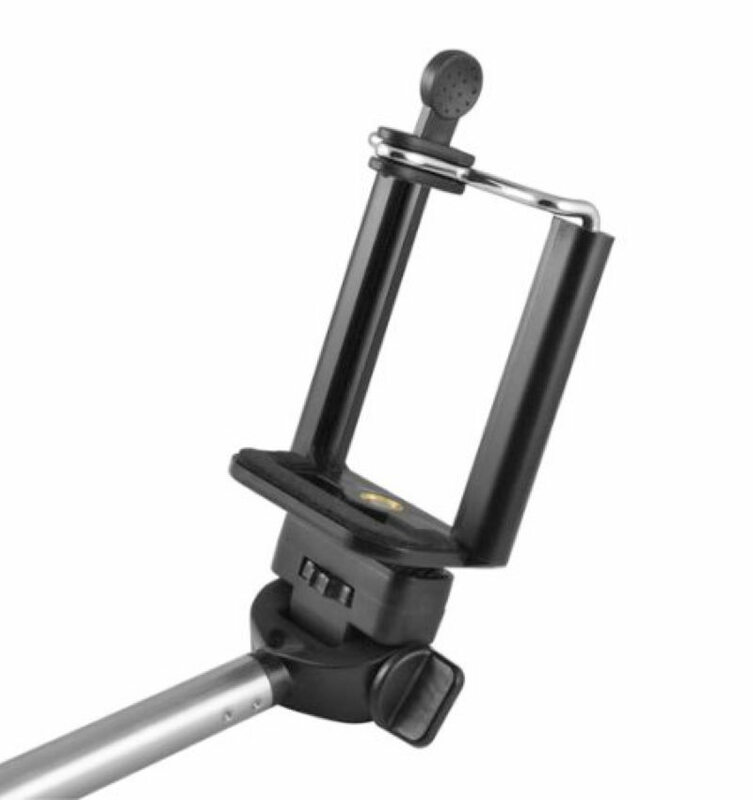 It comes with a rotating, adjustable smartphone mount that’ll securely hold devices up to 3.4″ wide, so you can strive for the best shot possible without worry.